You know, last winter we were complaining that the only time we ever got film crews is when it was snowing, but it seems that we were wrong. We’ve had two film crews here at Bison Quest this summer and were so proud that we could show off our place when it’s full of flowers and greenery! 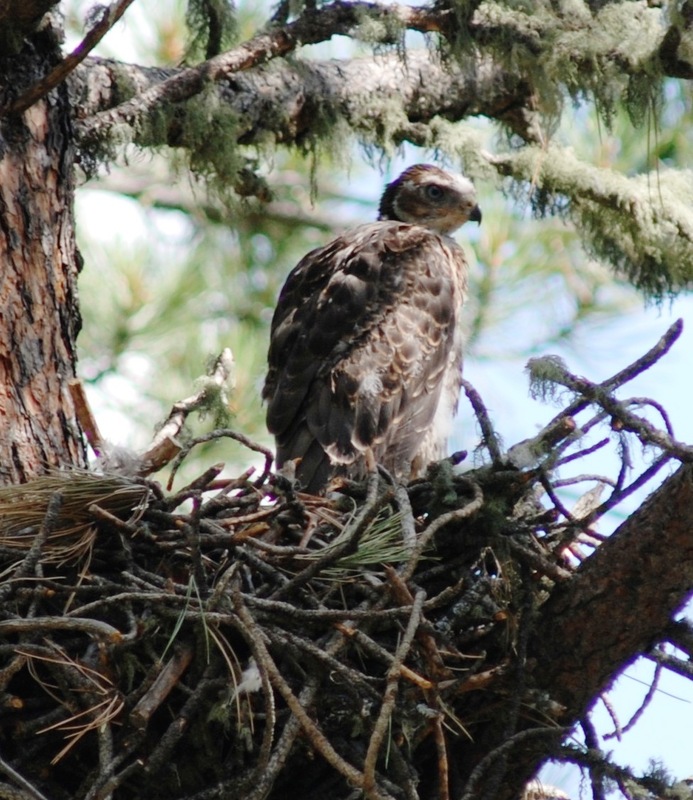 The end of June, we had Matt and his crew from Pure Life Productions LLC spend a few days with us and we were quite thankful that our wildlife and flowers all stepped up to the plate! The whole crew kept exclaiming and ohhing and ahhing over everything they were catching on film and we just puffed up with pride. Matt will be sending us a high definition promotional dvd as a “thanks” for being able to shoot here at Wild Echo, and we’re really looking forward to it. They were a fun bunch and we really enjoyed having them – we’ll let you know when the dvd comes out. We also had a visit from Flying Horse Communications, who were so impressed with the beauty of the ranch that they wanted to shoot here for a commercial. We’ll let you know when that one airs as well! I know a number of you have been on my case for not posting for the past few weeks. But what’s a girl to do? Believe it or not, there are still people in this world (and I’m one of them) who actually don’t have computer access every day of my life. When we are in the midst of many of our wildlife surveys, we just don’t come across that many internet cafes. Heck, we don’t even come across many cafes! 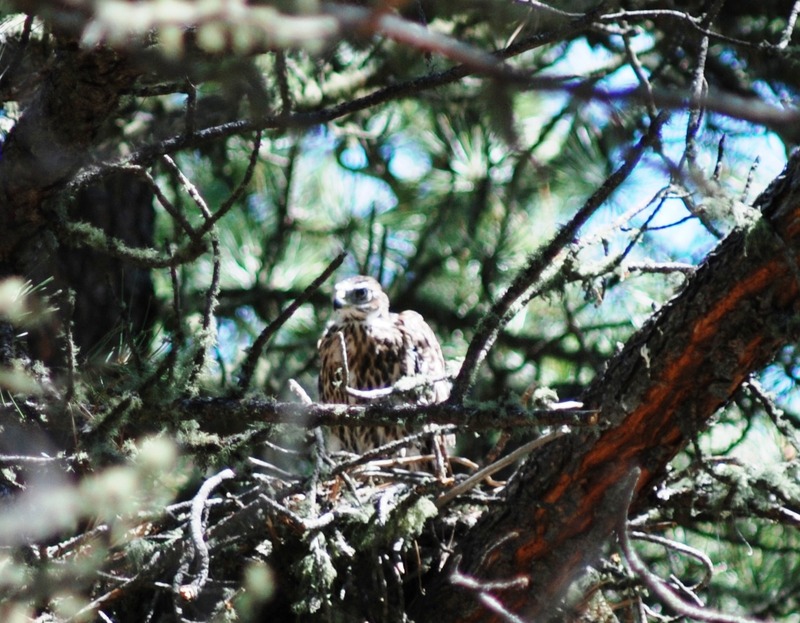 And, for those of you who would like to know what little critter keeps us so entranced, here’s a picture of a goshawk chick sitting in his nest waiting for the folks to come home with the chow. We just returned from Yellowstone National Park where we had the pleasure of escorting some of our guests. One of our guests was willing to get up early in the morning and go on a wildlife safari with us to see what we could find. And look at the treat we stumbled upon! Although we usually can find grizzlies, we can’t always find them so accommodating. This fella was busy digging up roots and we had a blast watching him for about an hour. 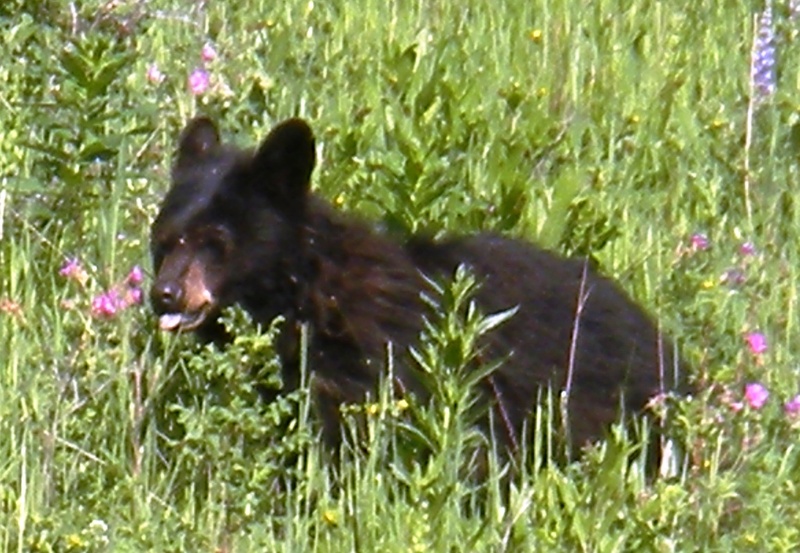 After he left, we went a little further to find a young black bear eating flowers. 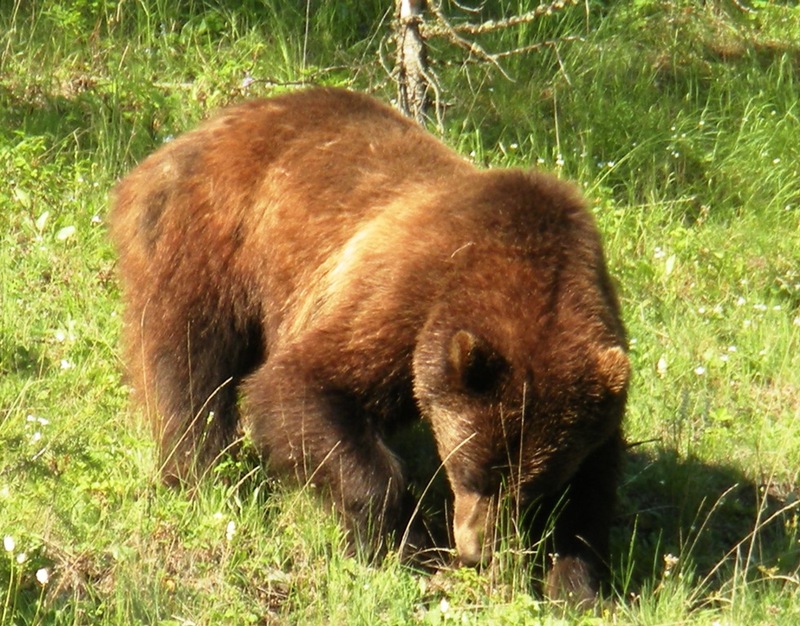 When we returned to the hotel to pick up the rest of our guests, they kidded us saying, “Ok, now find us a couple of bears during “decent” hours.” And you know what was really amazing – we did (we won’t tell anyone that it was totally by accident, of course)!